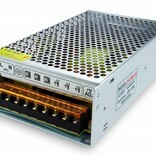 24V switching power supply with an output of 240 watts and 10 amps. Suitable for use with LED strips and LED strip controllers. 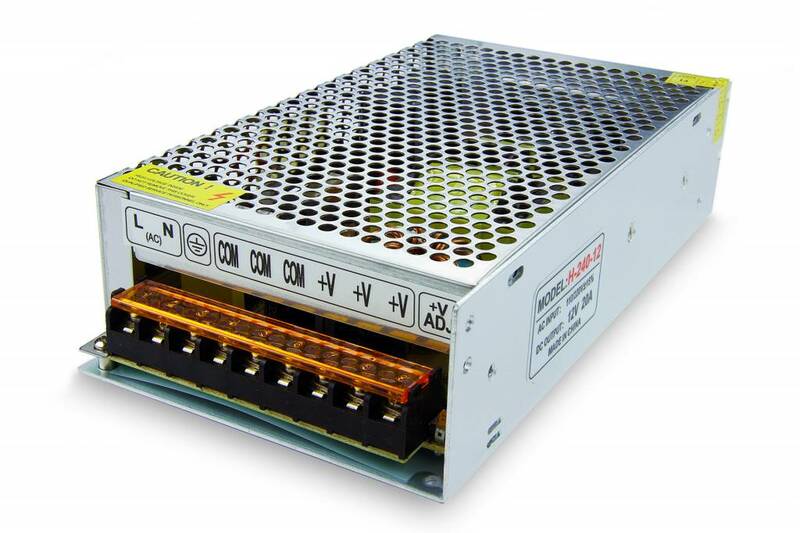 24 volt power supply with output of 240 watts and a maximum output current of 10A. Especially suitable for 24 volt LED strips and wall washers. * Optional grounded power cable 1.5 meters.